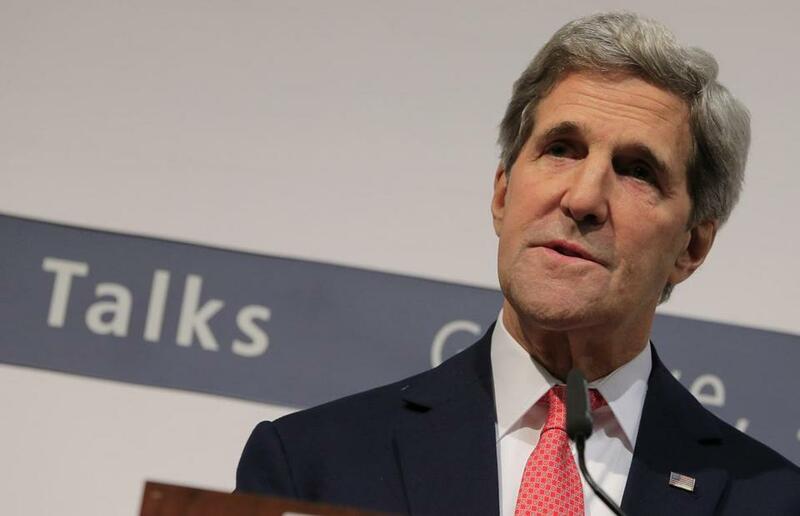 US Secretary of State John Kerry spoke early Sunday during a news conference after the talks finished. GENEVA — The United States and five other world powers announced a landmark accord Sunday morning that would temporarily freeze Iran’s nuclear program and lay the foundation for a more sweeping agreement. It was the first time in nearly a decade of talks, US officials said, that an international agreement had been reached to halt much of Iran’s nuclear program and roll some elements of it back. “We have reached agreement,” Catherine Ashton, the European Union’s chief foreign policy official, posted on Twitter on Sunday morning. Her message was soon confirmed by statements from Iranian officials, Secretary of State John Kerry, and an announcement by President Obama from the White House. The agreement was signed in Geneva at 3 a.m. According to the agreement, Iran would agree to stop enriching uranium beyond 5 percent. To make good on that pledge, Iran would dismantle links between networks of centrifuges. 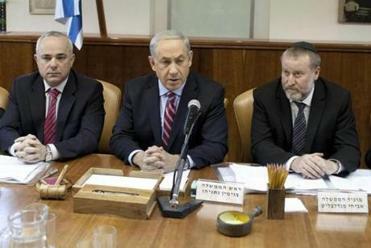 Prime Minister Benjamin Netanyahu reiterated a long-standing threat to use military action against Iran if needed. The accord was a disappointment for Israel, which urged the United States to pursue a stronger agreement that would lead to a complete end to Iran’s enrichment program. But Iran made it clear that continuing enrichment was a prerequisite for any agreement. The United States did not accept Iran’s claim that it had a “right to enrich” under the nuclear non-proliferation treaty. But US officials signaled earlier this week that they were open to a compromise in which the two sides would essentially agree to disagree on how the proliferation treaty should be interpreted, while Tehran continued to enrich. In return for the initial agreement, the United States has agreed to provide $6 billion to $7 billion in sanctions relief, American officials said. Of this, roughly $4.2 billion would be oil revenue that has been frozen in foreign banks. This limited sanctions relief can be accomplished by executive order, allowing the Obama administration to make the deal without having to appeal to Congress, where there is strong criticism of any agreement that does not fully dismantle Iran’s nuclear program. The fact that the accord would only pause the Iranian program was seized on by critics who said it would reward Iran for institutionalizing the status quo. The deal would also add at least several weeks, and perhaps more than a month, to the time Iran would need to produce weapons-grade uranium for a nuclear device, according to estimates by nuclear experts. US officials argued that it would preclude Iran from shortening the time it would need to produce enough bomb-grade uranium for a nuclear device even further, and would provide additional warning if Iran sought to “break out” of its commitment to pursue only a peaceful nuclear program. A second and even more contentious debate centered on whether an initial deal would, as the Obama administration said, serve as a “first step” toward a comprehensive solution of the nuclear issue, one that would leave Iran with a peaceful nuclear program that could not easily be used for military purposes. Two former American national security advisers, Zbigniew Brzezinski and Brent Scowcroft, recently sent a letter to key US lawmakers endorsing the administration’s approach. “The apparent commitment of the new government of Iran to reverse course on its nuclear activities needs to be tested to insure it cannot rapidly build a nuclear weapon,” they wrote. But some experts, including a former official who has worked on the Iranian issue for the White House, said it was unlikely that Iran’s supreme leader, Ayatollah Ali Khamenei, would ever close the door on the option to develop nuclear weapons. Instead, they said, any initial six-month agreement is more likely to be followed by a series of partial agreements that constrain Iran’s nuclear activities but do not definitively solve the nuclear issues. The agreement reflected compromises on key issues. Iran would agree not to produce fuel for its heavy water reactor it is building near Arak or put it into operation. But it would not be required to stop all construction at the plant. In a nod to Iran, the agreement does not preclude Tehran from making new centrifuges. But it allows international inspectors to monitor the assembly and production of centrifuges to guard against the possibility that Iran might stockpile the machines so it could vastly expand enrichment capability as soon as the agreement lapsed. Regarding enrichment, Iran’s stockpile of such low-enriched uranium would be allowed to temporarily increase to about eight tons from about seven tons currently. But Tehran would be required to shrink this stockpile by the end of the six-month agreement back to seven tons. This would be done with equipment to covert some of that stockpile to oxide. To guard against cheating, international monitors would be allowed to visit the Natanz enrichment facility and the underground enrichment plant at Fordo daily to check film from cameras installed there. But Iran did not agree to all of the intrusive inspection that the International Atomic Energy Agency had said is needed to ensure that the Iranian program is peaceful.